You need 8 000 / 12 000 Honored with the Nightfallen to gain acess to Court of Stars and The Arcway. Beyond that, rep isn't worth farming unless you're going for the pet: Extinguished Eye, toy: Home Made Party Mask, professions recepies or the 850 Shoulders. 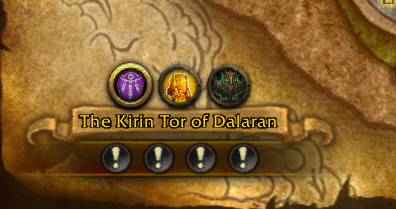 In case you're like me, on your alt and having a bit of a senior moment, forgetting how exactly you start questing with this faction... it's Khadgar's Discovery, in the Violet Citadel in Dalaran. You can't just rock up in the zone and start dealing crystal meth ancient mana to Nightfallen. In 7.1, the Nightfallen's story will continue with a nine-week quest campaign that culminates in a Nightborne-themed mount reward.